Arijit Singh can easily be coveted as the most popular and loved singer of the current times. Whether the movie is a hit or flop doesn’t affect his soundtracks, they are sure to loved and widely heard. He gained immense popularity with the songs of ‘Tum Hi Ho’ from Aashiqui 2 (2013) and from there his singing career just took off. We all know that nothing is permanent in B-town. Lots of people come and go every year. One day the celebrity is super popular and then one flop or a mistake and you are out from the film industry. This is the most volatile career one can have. Most actors and actresses don’t admit to being insecure about their future in the Bollywood industry, but everyone knows the competition and inflow of talent that knocks the door of Bollywood every single day. 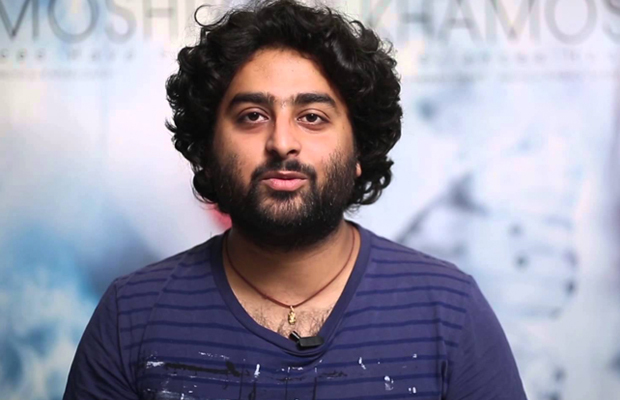 And now Arijit Singh has opened up about how insecure he is about his place in Bollywood. The 29-year old singer revealed to a leading daily how he thinks that this might be his last year in Bollywood!!! Last year?? This statement by the Kabira singer has come as a big shocker! “I don’t think I have a long way to go. This might be my last year,” says the popular singer. “Normally, fresh voices replace (current vocalists) every five to seven years in Bollywood. If I work really hard on specific genres, I might be able to stay longer. That way, I can emerge as the only singer who can croon songs of those genres. Maybe that’s how I will survive,” he adds. Someone with a graph like this in the industry, it surely comes as a big shock that Arijit thinks he is not here to stay. As your career depends highly on other people, it can be on slippery grounds. Each generation has seen a popular vocalist like Udit Narayan, Kumar Sanu, Sonu Nigam and Shaan to some extent. It is true that, they don’t have an extremely long career in Bollywood. Sonu and Shaan, who once ruled are now barely there. Let’s hope we hear Arijit more and more and for a long time! !